Bou on an other planet ! 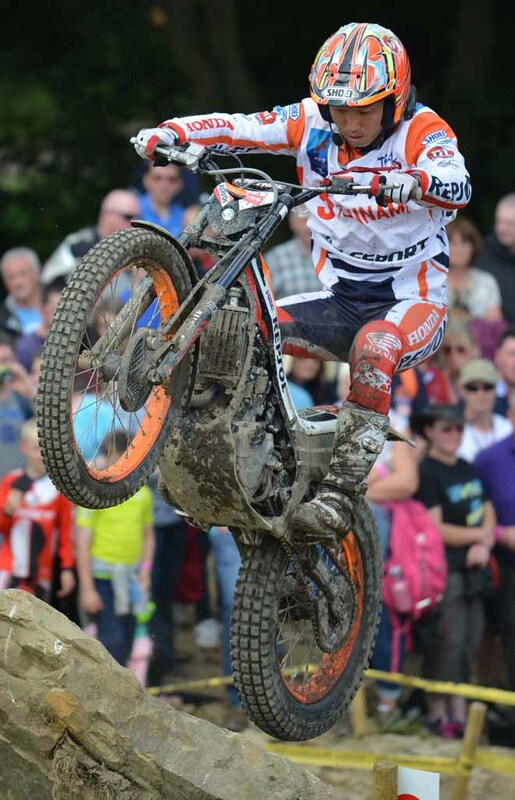 With a winning margin of thirty-one marks, the performance by Toni Bou – Repsol Honda on the opening day of the British Grand Prix that marked round seven of the 2016 FIM Trial World Championship was simply sublime. Now almost certain of a straight tenth outdoor title, Bou made light work of the mainly man-made course at Tong losing just four marks over the entire Trial including a clean last lap. Whilst overshadowed by Bou’s incredible display, British rider, James Dabill – Vertigo was still delighted as he took a career best second spot in front of his many home fans. A further seven marks back Adam Raga – TRS could only manage third position today and saw any last chance of him stopping Bou taking the title all but disappear as Toni now moves twenty points clear in the general standings with just three counting days remaining. On a day when the sun finally shone following the rain showers of the previous days, the greasy conditions dried as the competition wore on. Albert Cabestany – Sherco ended up a distant fourth as he beat fifth place Takahisa Fujinami – Repsol Honda by just two marks. Still recovering from the injuries he sustained in France, Jeroni Fajardo – Vertigo battled to take sixth spot, leaving Jaime Busto – Repsol Honda, Franz Kadlec – Gas Gas and Eddie Karlsson – Montesa to occupy seventh, eighth and ninth places respectively. 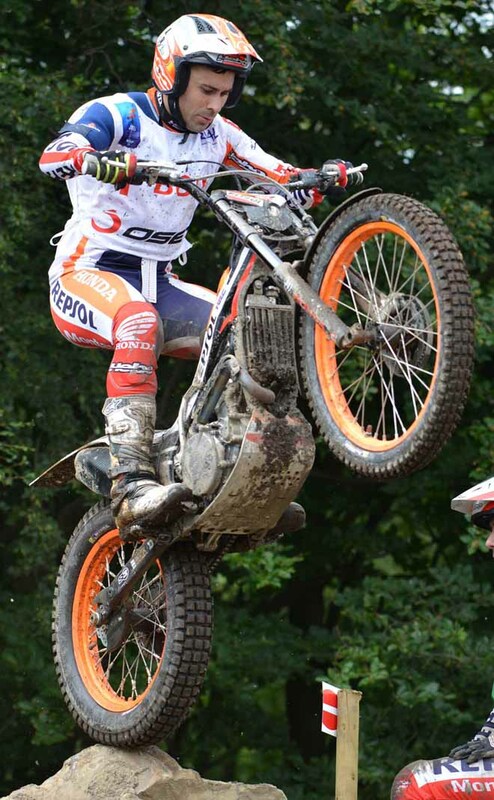 Spain’s Oriol Noguera – Montesa rounded out today’s top ten in the TrialGP class as he equalled his best ever finish. Jack Price – Gas Gas clinched the Trial2 title on home soil as he secured his seventh win of the campaign with yet another dominant performance. Price ended the day on a mere six marks and can now not be caught in the overall standings with the winner of the 2016 FIM Trial2 World Cup being determined after each rider drops their worst two results. Jack’s closest challenger, Iwan Roberts – Beta was second on the day and remains second in the series and as such lost the chance to prevent his compatriot snatching the Trial2 crown. 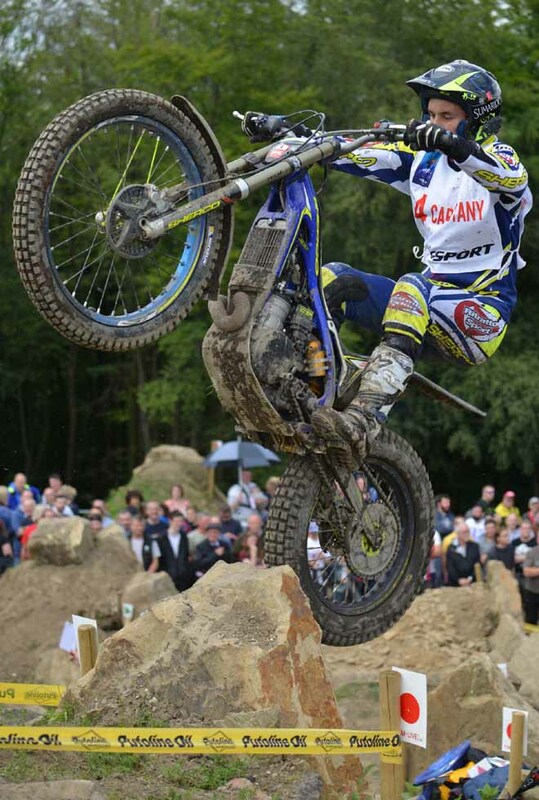 Gael Chatagno – Sherco made a welcome return to the podium in third after his poor showing in Belgium. The British duo of Dan Peace – Gas Gas and Jack Spencer – Beta finished day one in fourth and fifth spots respectively. 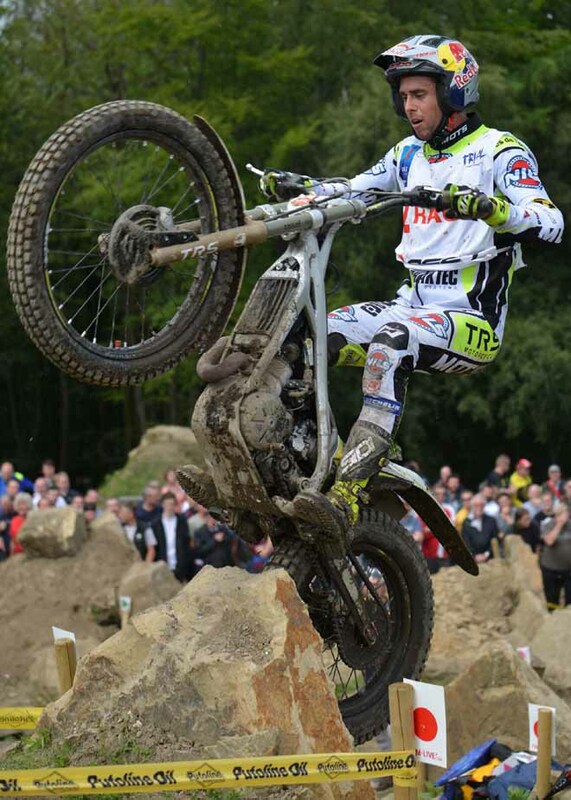 Fresh from clinching the title last Sunday in Belgium, Great Britain’s Jack Peace – Gas Gas continued his winning ways in the Trial125 class as he notched up victory number nine of the year to further confirm his dominance of the class this season. As has often been the case in 2016, Max Faude – Beta was again the runner-up to also cement himself as runner-up in the series too. Home rider, Billy Green – Beta made a sensational debut as he claimed third spot and a place on the rostrum at his first competition at this level. Day two of the British Trial GP will play out tomorrow over a similar course, although some overnight revision to certain sections are expected depending on the weather. 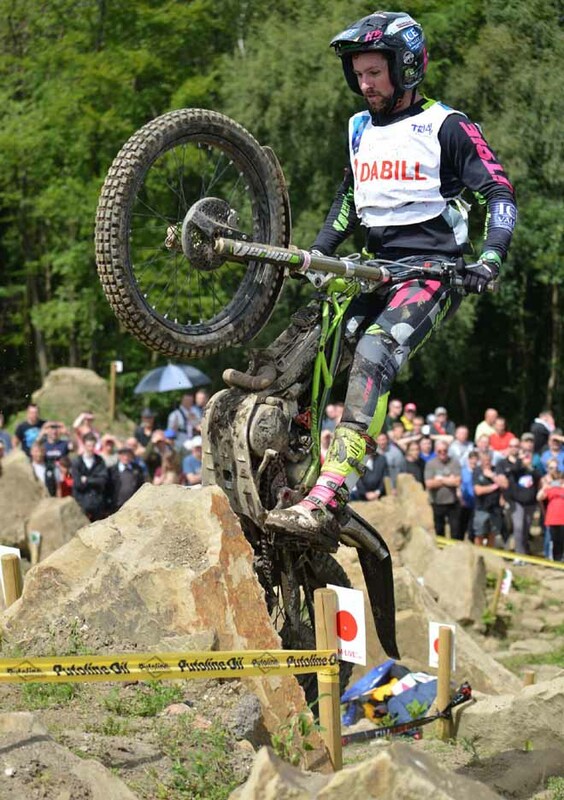 Reigning Champion Emma Bristow – Sherco began the defence of her title with a win on the opening day of the 2016 FIM Women’s Trial World Championship that was staged at Tong, Great Britain. With the loss of just a single mark on each of the two laps of twelve sections, Bristow became the victor by six marks over her compatriot and rival Rebekah Cook – TRS as the series visited the British mainland for the first time since it began back in 2000. As predicted, Spain’s Sandra Gomez – Gas Gas was very much back in the mix having been ruled out of the title fight through injury last season. Gomez dropped a total of ten marks over the two laps of rocky and often slippery sections to claim the final spot on the podium. Sandra’s last lap tally of three marks, which was only bettered by eventual winner Bristow, shows that she could prove to be a real contender for the top spot when the action resumes tomorrow. Rain showers throughout Friday and late into Friday night threatened to make conditions out on the compact course very difficult, but with no further rain when morning broke and bright sunshine from just after lunch, the hazards actually dried and rode easier than had perhaps been expected. Sixteen-year-old Berta Abellan – Beta from Spain recorded her best ever result as she secured fourth place on day one with a total of eighteen marks much thanks to two consistent showings over both laps. Whilst having only joined the series in 2014, Berta is already making fast progress with her previous best finish being sixth position at the opening round of the 2015 season in the Czech Republic. Sixth in the overall rankings last year, Germany’s Theresa Bauml – Beta made a strong start to the new campaign as she rounded out the top five on twenty-one marks. 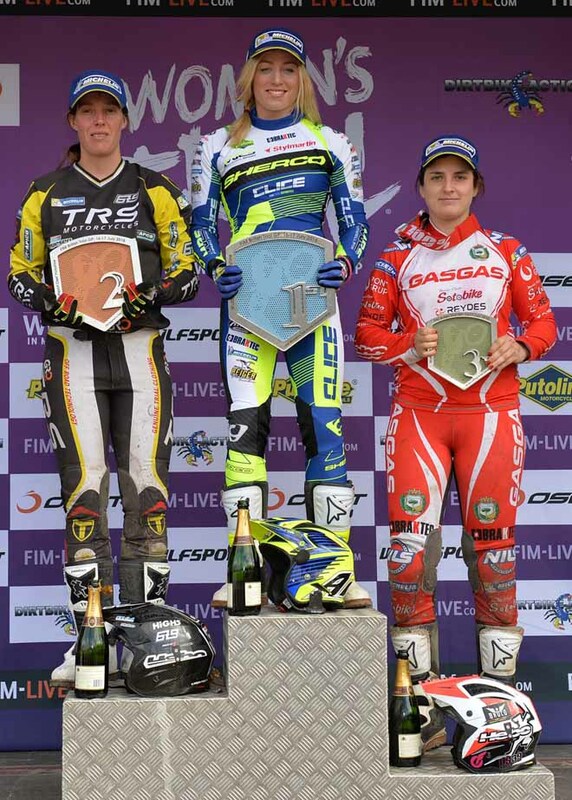 British riders then occupied the next two spots as Katy Sunter – Gas Gas and Donna Fox – Sherco ended the day in sixth and seventh places respectively. Spain’s Mireia Conde – Beta, Norway’s Ingveig Hakonsen – Beta and Sara Trentini – Beta completed the top ten in that order on day one. Subject to any changes in the weather, selected sections will be modified ahead of the second and final day of competition at Tong tomorrow. Bou su un altro pianeta! Con in tutto 4 penalità stravince. Dabill secondo a sorpresa ne fa 35!